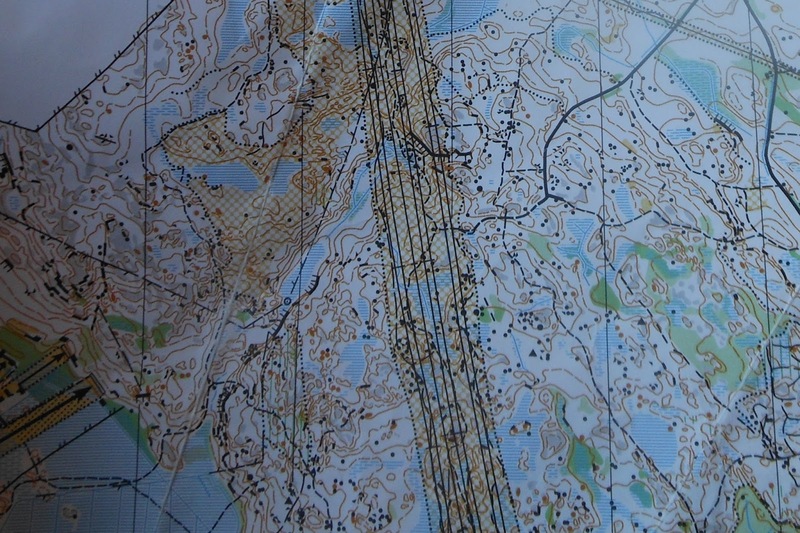 Tampere, Finland, where the 2017 Junior World Orienteering Championships were held has some pretty different maps and terrain from what I’ve seen in Canada, and there’s only so much I could learn by doing map study from afar. For example, I can tell there are bare rock hills scattered throughout the map, but what does the bare rock look like? How precisely is it mapped? Finding out the answers to these kind of questions is why the Canadian JWOC team came together for about a week prior to JWOC and trained on maps similar to those that we would later race on. The big goal of the pre-JWOC training week is to get used to the different terrain. There are some challenges with this though: although my JWOC team mates and I might want to spend as much time in the terrain as possible, we still must also be tapering so that our legs aren’t too tired to run at JWOC, and some of us were also getting over jet lag. While several European orienteering nations had already held multiple training camps in the area, being so far away from Tampere, we didn’t have that luxury. Luckily, a few of the team members were at the HPP training camp in Tampere last summer, and several others trained on their own or with groups such as the American team for a bit before the Canadian team got together. Those who didn’t just had to learn quickly! The first step of our training week was getting to Murikka, our accommodation for that week and also the JWOC week. Even though the place was under construction, we got lovely rooms with very fancy showers, connected to a common area where we would eat lunch, study maps, and watch WOC races live. That was only for the first week though- stay tuned to hear about the next week’s accommodation! Then, on to actual training. We started with orienteering at a walking pace and figuring out what different features looked like, and then progressed up to race pace. To answer my previous questions about the bare rock: it’s not really bare. It is distinctive, but rather than slabs of rock it’s normally rock covered with a layer of light-coloured lichen. This mossy-licheny area is mapped as bare rock. Can you find this area on the map? As we had four different race types to prepare for (middle, sprint, long and relay), we did a variety of different trainings. One of the trainings we did was a mock race at the sprint map nearest to the area that the actual sprint would be held to practice our warm up routine, get into the racing mindset, and see some similar terrain to the sprint. In hindsight, it turns out that it wasn’t actually similar... but that’s another story. Another example of a training, one of our final ones, was a relay training with the American team. We had several short forked mass start courses that were about three controls each. We started these races against a varying number of other orienteers to simulate not only the technical/orienteering aspect of the relay (forking and terrain), but also the mental aspect- racing head to head against different orienteers from different countries who were going to potentially the same controls, or nearby ones. Besides actually orienteering, we were still pretty busy- getting interviewed by a local newspaper, practicing route choices on courses on the old maps that coach Jeff drew up, or making maps of what we thought the area for the JWOC sprint would look like now, based on google earth, satellite photos, and more. Watching WOC with some friends from other countries counts as training if we study the route choices, right? 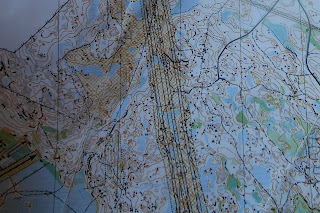 After the week of orienteering in Tampere terrain, we were ready (or as ready as we were going to be) for JWOC.